When digging into why a given query might be running slowly, one of the first places to look is that query's execution plan. SQL Server's built-in graphical execution plans show the data retrieval methods chosen by the SQL Server query optimizer, but making sense of those plans can be daunting. 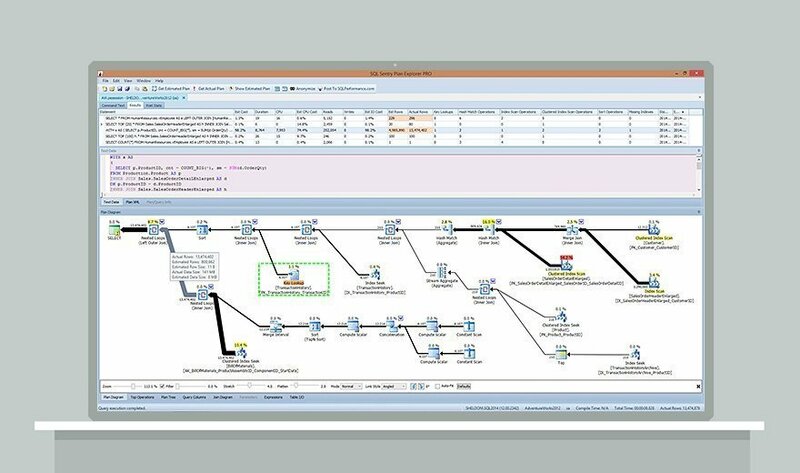 SQL Sentry Plan Explorer goes beyond the basic functionality provided by SQL Server and makes it easier to see where issues exist in an execution plan. The free version of SQL Sentry Plan Explorer provides multiple views of execution plans, which can make them easier to analyze. It also uses color coding to highlight potential problem areas like table scans, key lookups, cumulative operation costs and parallelism so they're easier to find, and zoom controls make it possible to see more of an execution plan on your screen. In addition, you can collect runtime metrics when you generate plans. SQL Sentry Plan Explorer is also available in a commercial version that adds the ability to open multiple query tuning sessions at the same time and other features. How would you rate SQL Sentry Plan Explorer?